The sea is the main attraction of Elba, be it for its colours or simply for its relaxing charisma, or even for its innumerable therapeutic properties. This is why we call it “the large marine aerosol”. Staying in one of the rooms suggested by us here, you will be able to enjoy this irreplaceable means of relaxation even by night. You just need to observe its peaceful oscillations from your window, enjoying its flavours and natural melodies. Enjoy your “Thalassa-holiday”. 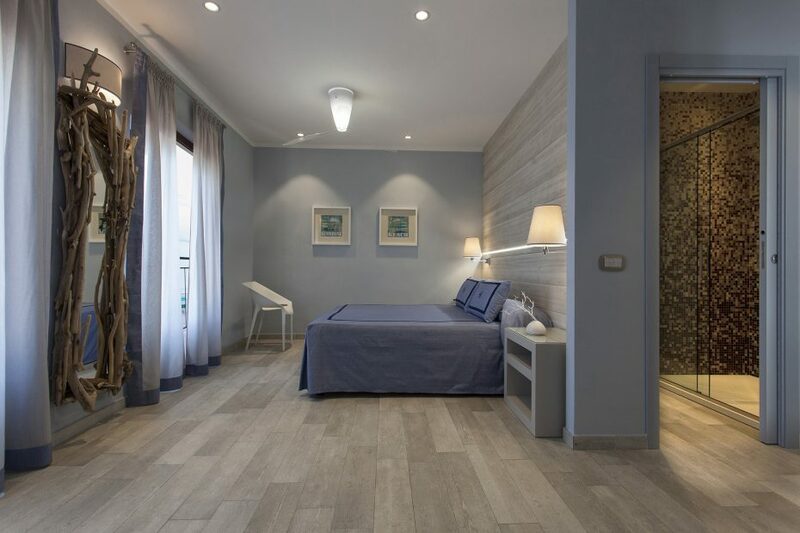 The Hotel Ilio is renowned for its location, and also for the widespread use of furnishings which elegantly interprets the Mediterranean lifestyle. 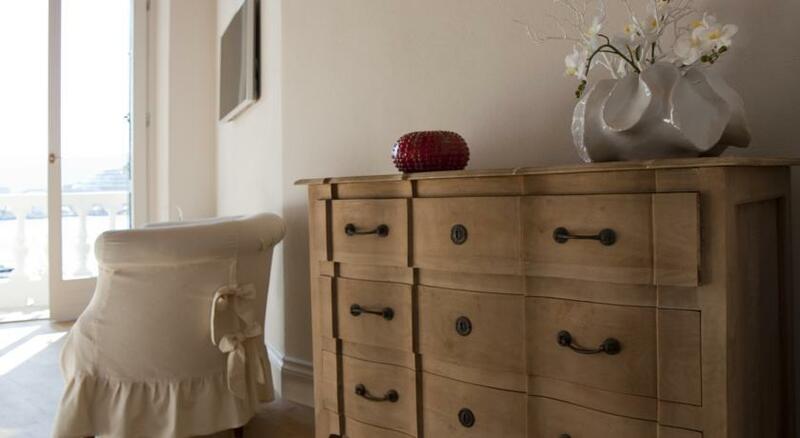 This is why we suggest the Mediterranean style rooms in this very refined hotel, you will find whitewashed wooden furnishings, depictions inspired by the sea, soft lighting with very relaxing ivory intonations. 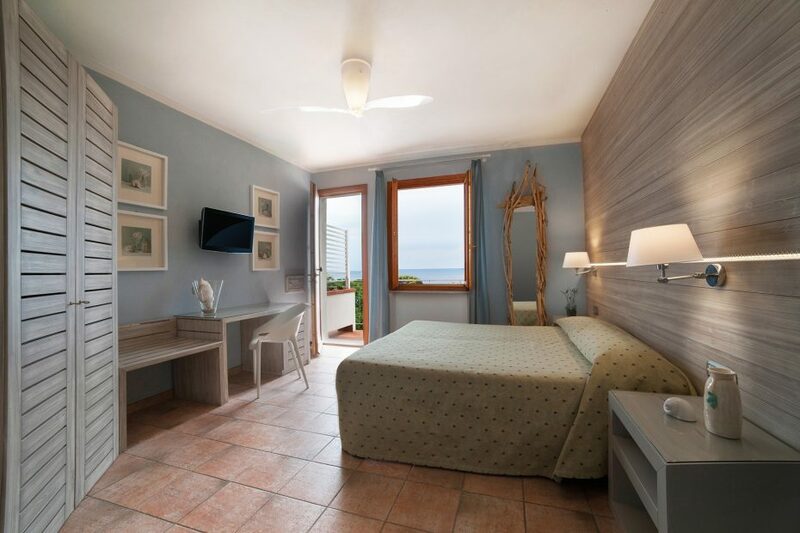 These are two of the rooms with sea view that are most appreciated by the usual guests of the hotel, with many comforts, including car parking space and WiFi connection which, with 11 repeaters and 30 MB power in all rooms, is also capable of reaching the nearby beach of S. Andrea. Falling asleep to the pleasant sound of the waves and waking up to the chirping of the seabirds. The jewel in the crown of the Hotel Ilio is the Mediterranean Suite, a very “stylish” suite incredibly close to the sea, looking out over the beach of S. Andrea (only 5 metres from the sea). Baia Bianca Suites, which is on the north coast of the island, in the area of the town of Portoferraio, looks out over one of the most beautiful beaches on Elba. Much liked because of its fine golden sand, and clear and shallow sea bed, this beach is a real attraction for both visitors and the inhabitants of the island. The structure includes a play area for children and an interesting bistro. Staying in this B&B, you will have the sea as your holiday companion. 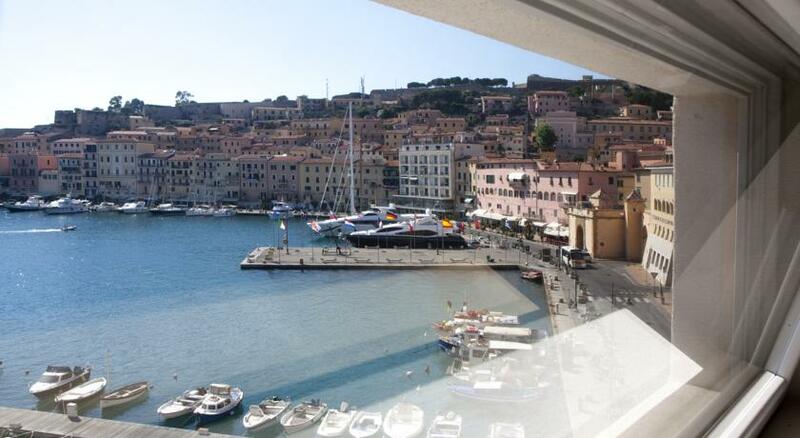 The rooms in the photographs look out right over the docks of Portoferraio, an ancient natural port, bastioned and rich in historical relics, from the Ancient Romans to the Medici. You can enjoy the pleasures of relaxing and admiring this beautiful ancient port in the evening and buying fresh local fish in the morning, from fishing boats anchored at the docks. 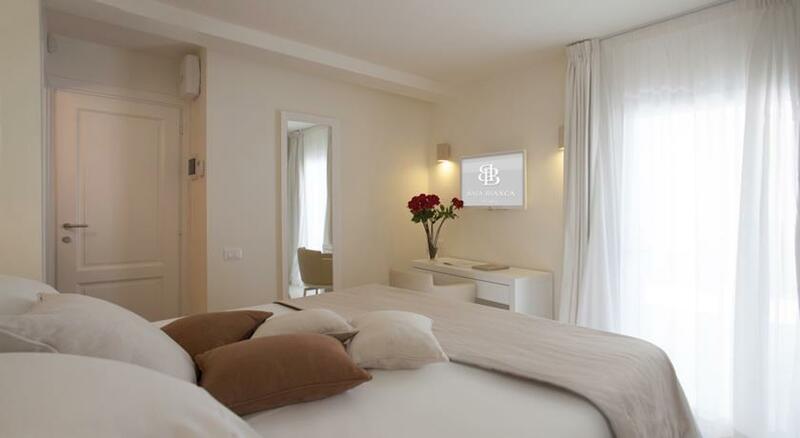 If you are travelling on your own, we suggest you stay at the Hotel Ilio Boutique Hotel, as you will be able to contact the Personal Manager, a travel specialist who will help you plan your holiday. identifying the activities or events of most interest to you. 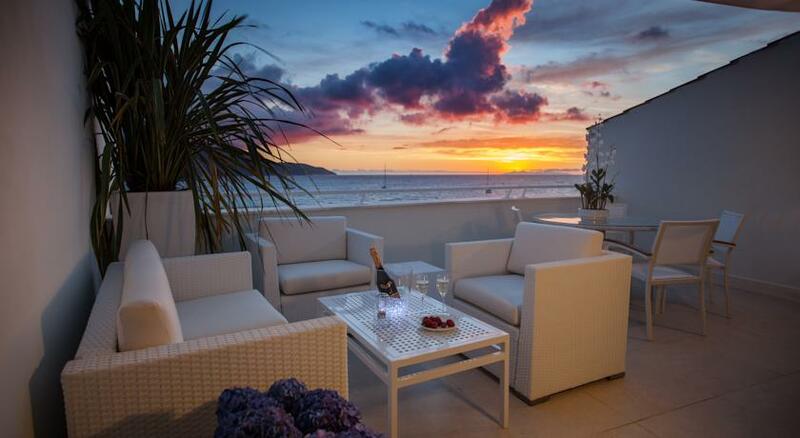 The rooms with sea view are a nice way of starting a romantic holiday. If you want to enjoy the atmosphere of your holiday even more, you can do so with a Tuscan style room with four-poster bed and sea view. Loredana, originally from Biella, moved to Elba in 1991 and has not left the island since then. 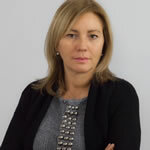 The owner of the Edizione Immagine publishers which publishes innumerable tourism related articles on the beautiful Tuscan Archipelago, she has told us in Elba Unexpected Paradise of some of the aspects that most attracted her to this magnificent area.